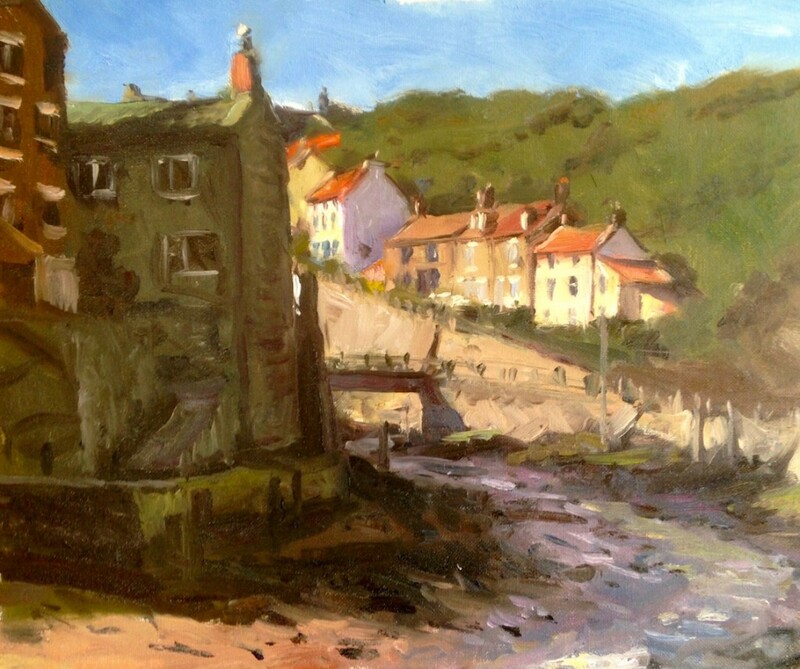 Bruce Mulcahy lives in Dewsbury, West Yorkshire, where he has his studio, but his much sought-after paintings are produced in a wonderful variety of outdoor locations. His work has been shown in many galleries throughout the region and nationwide including the Mall Galleries, Manchester Academy of Fine Arts; Leeds City Art Gallery and the House of Commons. Bruce is a member of the Fylingdales Group of Artists and the prestigious Royal Society of Marine Artists. He is extremely popular as a demonstrator to art societies and runs painting workshops in Dewsbury. His experience and expertise enable him to help aspiring artists of all abilities make progress with their work. While he does not expect his students to complete all their work en plein air as he does, he encourages and helps them to paint from real life, sometimes just from a window, usually with startlingly good results.